It's Carmencita's birthday today! After the kerfuffle with my missing Auntie's birthday last week due to a crisis of confidence Carmencita sent her request in for a birthday Hot People post well in advance so I wouldn't make the same mistake twice. Happy Birthday, honey, from me and the sweetest guy, inside and out, Richard Simmons! Oh. Was that not what you had in mind? Good thing you included a specific request in your e-mail for perennial favorite, Robert Downey, Jr.
Other than that, though, you gave me carte blanche so I went a little hog wild. 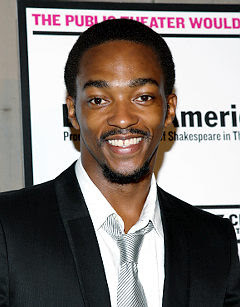 Below is Anthony Mackie. He's on Broadway right now with Christopher Walken (not pictured) in A Behanding in Spokane. The guy has great range and a lovely voice and abs you could grate cheese on (also, sadly, not pictured). I was inspired to include Mackie because he plays one of the lead roles in The Hurt Locker, which I watched over the weekend. THL also stars, Jeremy Renner (below), my new not-so-secret boyfriend. Perhaps we can double date. But it isn't about me, it's about you, it's your birthday! Let's bring it back to the basics of hotness. Good? 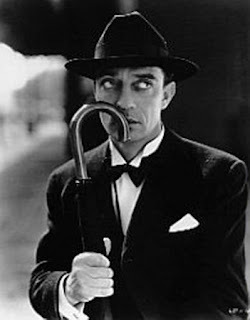 I know you love Buster Keaton, too, and while I am not as familiar with him as you are I can see the appeal. Easily. Did we go see John Leguizamo's stage show together many years ago? I went with someone and I feel like it might have been you. It was funny. I loved the story about his gay uncle sneaking him and his brother into Broadway plays. OK, ok, I'm reeling it back in, sorry, but I get out there in Google Images and I get pulled every which way toward the hot folk. There are a lot of choices. But, I know, only one serious choice. You like dogs so I thought, hey, Cesar Milan is a looker and he likes dogs too! Couldn't find any photos of him with newfoundlands but I figure you're open to other breeds. This is a guy you should know. He's John Barrowman, best known for playing Captain Jack Harkness on a series called Torchwood which is a recent Dr. Who spinoff. Rent it and you will not be disappointed. 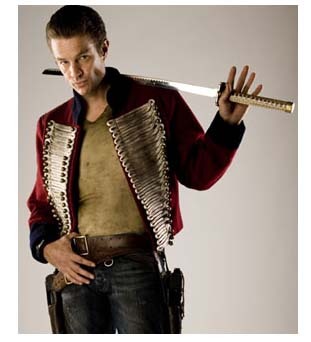 Our old friend Spike, I mean James Marsters even guests for a few episodes. It's delightful in a number of naughty ways. Just look at that...sword! I wasn't sure I'd like Dr. Who or Torchwood but I'd rank it up near our old standby, the X-Files. 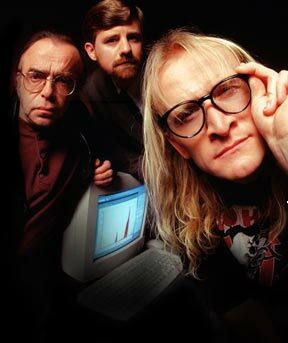 The Lone Gunmen were more properly, intensely nerdy, though. 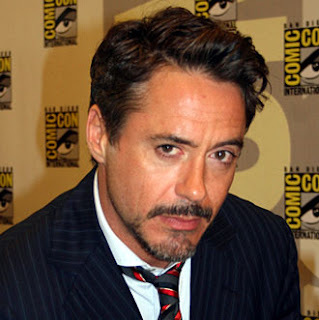 To sum up, Robert Downey, Jr. and I say, "Have a good birthday...or else." I tried my hand at Hot People today. I still don't think I do it as good as you do, but it sure was fun to put together! Getting there is a minimum of half the fun, every time. Cesar is my pick out of this lot because he is super cute and has a cute accent although Richard is good for a laugh. That first picture of RDJr is so good. Oh, man. 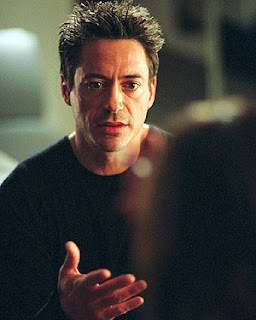 I am going to see Iron Man 2 this weekend no matter what! John Barrowman and James Marsters in that Torchwood ep were droolworthy. John Barrowman by himself is fricki' knee-melting gorgeous. Glad t hear you liked Torchwood. I am still not over Ianto.